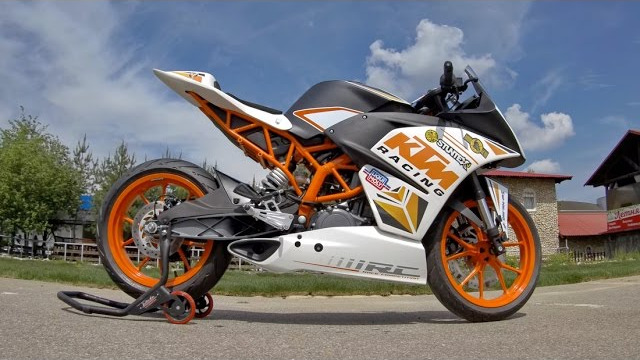 Here is review of KTM RC390. This model is complete sport bike for hard training and learning. Anton Bezshliaga (professional motorcycle racer) made test drive and told about the benefits and purpose of the bike.